"The voyage of discovery is not in seeking new landscapes but in having new eyes," Marcel Proust. In the ecommerce marketing world, it's vital that we keep our fingers on the ever-changing digital pulse of marketing trends, designs and best practices. Writers get all the sympathy for hitting creative walls, but here at Ometria we understand the trials and tribulations of coming up with that next great email, popup or header design. When your imaginary friends won't talk to you and your (marketing) block stands stubbornly betwixt you and your next best email: hunt for inspiration. We've scoured the web for resources that you can call upon whenever you're in need of a light bulb moment. From the latest popup design, to the latest trends in email marketing. Enjoy. Email marketing is very much alive and clicking, still stubbornly sitting atop the marketing channel pile, so it’s always worth getting things right. Whether you’re a copywriter or a busy marketing manager stuck with their job: enter goodemailcopy.com. A pretty basic, but useful resource of copywriting best practice, if ever you’re unlucky enough to be hit in the face with writer’s block. You’re welcome. Best for: How-to posts, ecommerce marketing best practices, example led posts, relevant tech & social media updates. 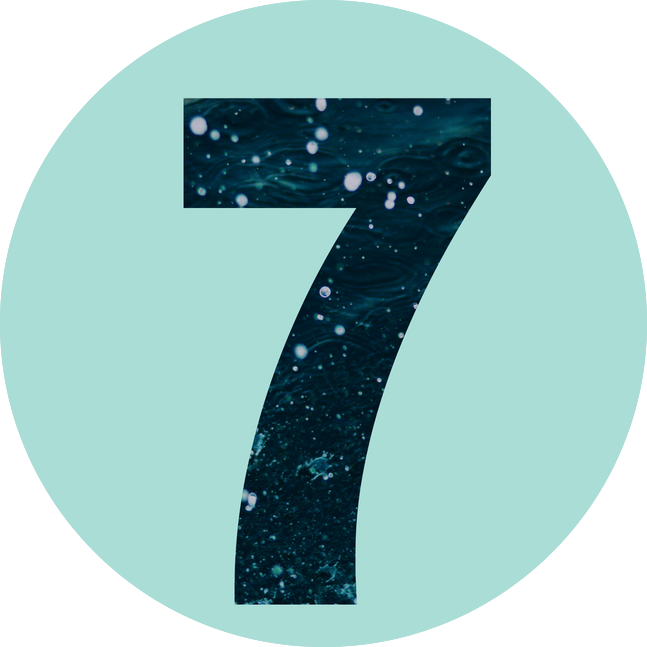 We here at Ometria are pretty darn good at customer insight and cross-channel marketing (if we say so ourselves ) - and we’re constantly exploring and updating our guidelines for best practice. Segmentation vs 1:1 personalisation - which wins in ecommerce marketing? Whether you send newsletters daily, or once in a blue moon, creating ones that are both pretty and functional can be a daily pain in the behind. If you need some newsletter guidance, check out this gallery! We often escape to Pinterest to avoid all the bad grammar and drama on Facebook - and are increasingly hunting for great marketing examples on the picture-sharing tool. 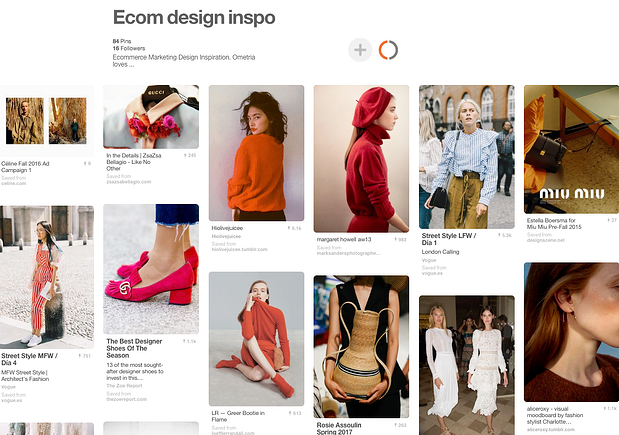 Not just a home for interior design and frilly wedding dresses, Pinterest is an valuable source of inspiration for marketers. 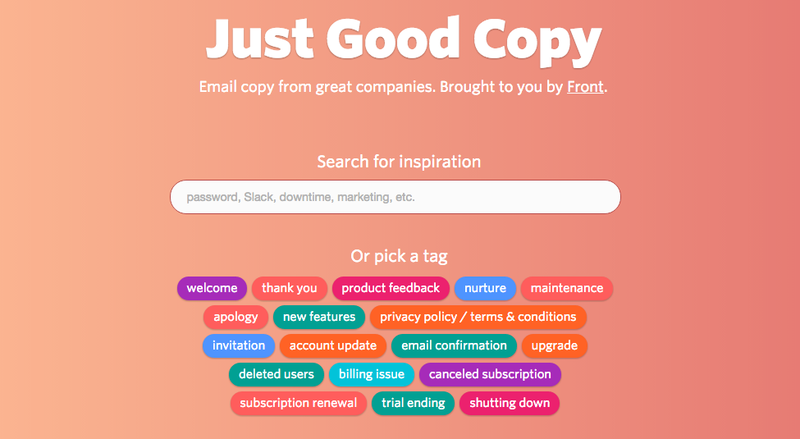 From welcome email examples, header design and newsletter designs - get crafty with your keyword searches and be rewarded with a wealth of example-based inspiration. MailCharts gives you "email marketing intelligence for ecommerce companies", with a wealth of newsletter examples and ideas. Pick any retailer and have instant access to a database of their newsletters and triggered emails. What's more, you can try it free for seven days! Who wouldn't trust a something that was "really" good? RGE is a "rad" collection of good looking emails to makes "your email life". You can focus searches by category and refine further using your favourite keywords. Whether you're in need of a lightbulb moment or want to stalk the competition, make sure you bookmark this post, as we'll be updating everytime we find another haven of marketing inspiration. And hey, if you're feeling generous, please tell us about your 'goldmines' of inspiration, and help make the marketing community a better place.